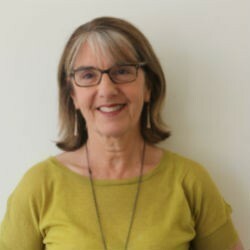 Julie Edwards, Friday, 20th July 2018 - The recent intervention by Prime Minister Malcolm Turnbull concerning the issue of African youth in Victoria is unfair, misleading and extremely unhelpful, writes Jesuit Social Services CEO Julie Edwards. Julie Edwards, Tuesday, 4th October 2016 - Has Victoria learned nothing from the outcry around the abuse and brutalisation of young people within the Northern Territory’s youth justice system – we don’t need a “supermax” prison to house our youth, writes Julie Edwards, CEO Jesuit Social Services. More Abuse Uncovered on Nauru, So Who’s Responsible? Julie Edwards, Thursday, 18th August 2016 - It is time Australia rejected the fiction that our political leaders are not somehow responsible for what happens on the offshore detention centres they have created, writes Julie Edwards the CEO of Jesuit Social Services. Julie Edwards, Thursday, 19th May 2016 - Community legal centre lawyers ensure that Australia’s most vulnerable are protected by the law and supported to improve their often dire situations. We know because we work with people experiencing entrenched disadvantage everyday, writes Julie Edwards CEO of Jesuit Social Services.